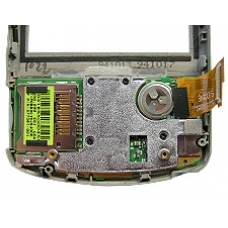 If you are having issues with your keyboard on your hw6900 iPAQ unit then this is the repair for you. Common faults include; complete keyboard failure, and keys sticking or jamming. With this repair we will replace your faulty keyboard and switchboard restoring your unit to perfect working condition. Complete replacement keyboard for the hw6500 series of iPAQ GPS Phone PDAs, if you have damaged, lost or worn out any of..